At Mobile World Congress can always find something different to our attention and we seem curious. The device that we present below satisfies these requirements and, moreover, is based on an idea that, while not innovative, does its job. 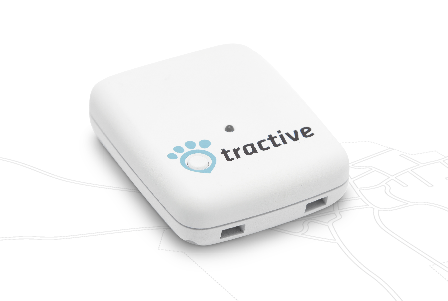 These tractive , a gadget based on GPS technology that helps geotag our pets or other animals. We can follow them live through the relevant application and also we can design it in tractive call a "security zone", an area than us define as we want maximum area where we can let our animals free. If these come out of this area, the device communicates with your smartphone and tell us and show their whereabouts. The device is not larger than a control space, or about 4 cm x 5 cm in area and 1.5 cm thick, and carries a fastening system to secure the collar or some other element bearing the animal. By applying tractive can create profiles for our animals and annotate them with all necessary information and will keep tracking their routes. The app is now available in the App Store: Lite format is free, where you can enter only one animal, and PRO, at a price of 0.89 €, which will allow an unlimited number of animals up to 15 different types. For the gadget to connect to our device, requires a subscription to one of the two plans tractive offers: "Basic" for 4.99 € per month (€ 49.90 per year) that enables you to see where you've been our pet but only to track "live" for 5 min. per month, or "Premium" for 9.99 € per month (€ 59.90 per year), with which we can be free consultation. By suspuesto, at these prices already discussed (and application fee), we must add the team: a single device costs € 249.98 ( can be found in their online store and shipping fees already included -goodness-). Imagine if we put a tracking each sheep of our flock! The price, we think, is the great failure of this device. That does not go from being something the less curious and anecdotal, and at the same time, it is inaccessible and a prohibitive price. What do you think about it? Besides the price, what one geolocator pondríais live your pets?